Emporio Armani has a way of making everything feel more luxurious and, of course, the latest additions in the eyewear collection have exceed all of our expectations. Channeling a metropolitan vibe and contemporary mood, the fashion house has four new shades that will have you grinning from ear to ear. 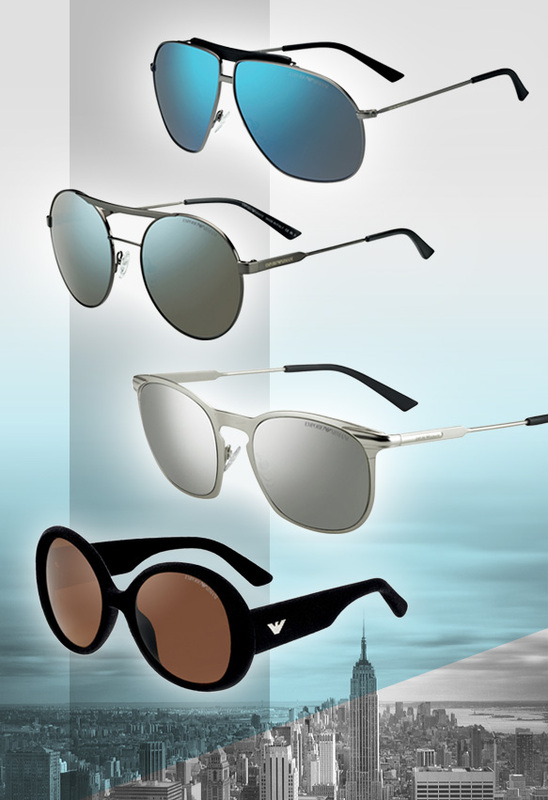 From uber glam sunnies to urban inspired aviators, Emporio Armani’s eyewear hits all the sweet spots. For the ladies who treasure the finer things in life, you’ll be giddy with excitement over the flocked velvet effect found on the pair of round, oversized frames. Others will find bliss in edgy aviators – one with an ultra-flat contrasting double bridge and another with an embellished rubber-finished temple bar—or retro, brushed slim metal shades with a keyhole bridge. Regardless of which style you choose, any of these sunnies will give you the metro makeover you’ve been craving.